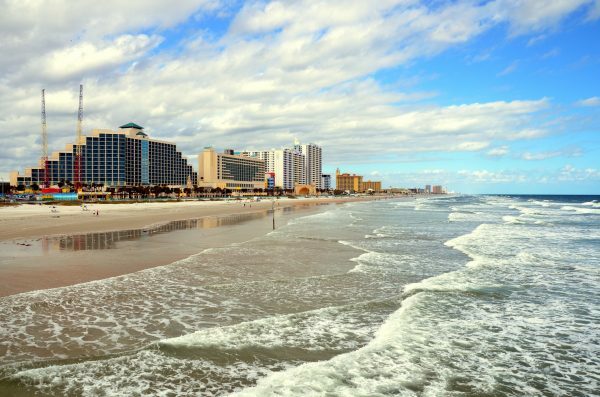 A 19-year-old waitress broke her back and her foot when she jumped off a pier to rescue a child struggling in a rip current off a Florida beach. 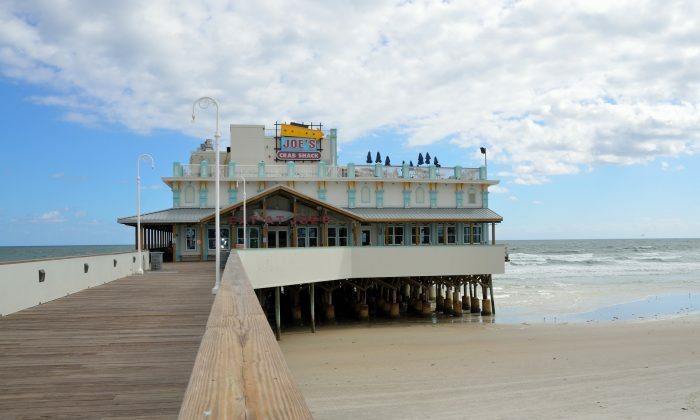 Hanna Pignato was working on the rooftop deck of a restaurant on Daytona Beach Pier on April 13, according to WESH, when she spotted a small figure struggling in the waves. She ran downstairs, handing her phone, personal belongings, and her apron to a customer before throwing herself off the pier into the water. Pignato is a surfer and swimmer and believed she could save the boy. But she had forgotten about the shallow sandbar. The 19-year-old waitress broke bones in her back and her foot after jumping off the pier when she saw the boy struggling in the water. Despite Pignato being incapacitated by her injuries, the boy was rescued, and taken to hospital as a precaution. “An 8-year-old boy was caught in a rip north of the pier,” Malphurs said, Ocean Rescue Capt. Tammy Malphurs said. “We also got a report of a woman, who appeared to be a Joe’s Crab Shack employee, lying on the beach by the pier,” she said. Last year a Florida mother died trying to save her children from a rip current. Samar Aboukhdair, 36, was watching eight children—six of her own and two others—on Oct. 13 at St. Pete Beach in Pinellas County when some of them were caught in a rip. She rushed into the sea to try to rescue them. Firefighters eventually were able to pull the children and Aboukhdair from the sea, according to the Pinellas County Sheriff’s Office, but she passed away at a nearby hospital. Four witnesses helped officials with the rescue, the office said. “The children were reported to have been swimming north of the Pass-A-Grill Southwest Jetty when a witness heard the children scream from the water. The witnesses reported four children in the water and pulled two of the children out to safety after it appeared they were caught in a strong tidal current,” the office stated. More people are killed in rip currents in Florida than any other state. Last year 25 people drowned in rip currents in Florida, according to the National Weather Service.